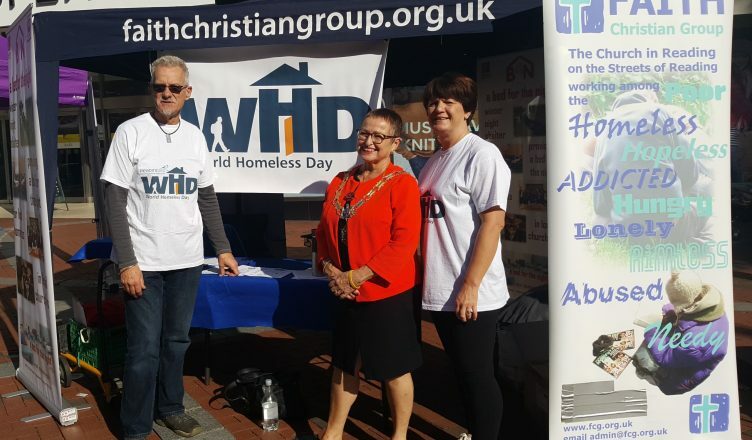 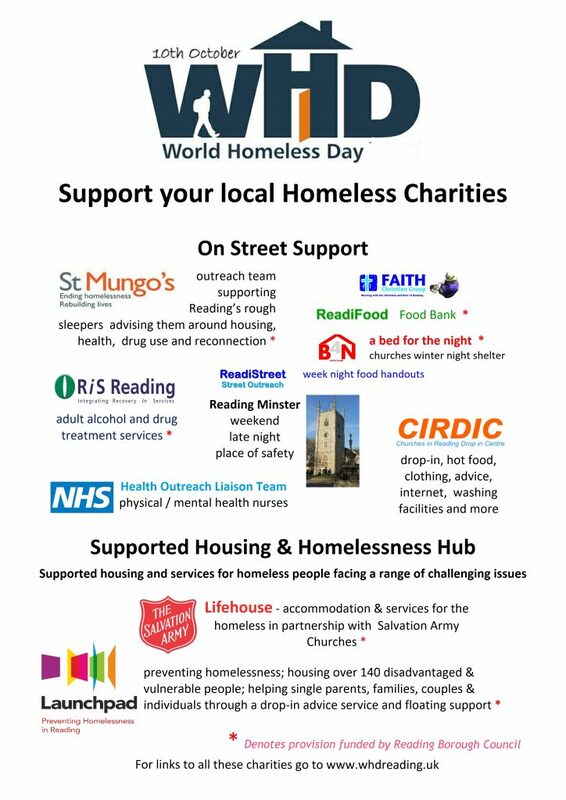 Many of the local charities working to help and get homeless people off the streets and into housing were out together in Broad Street on Wednesday 10th October. All those present have a connection to the “Housing Pathways” of Reading Borough Council. 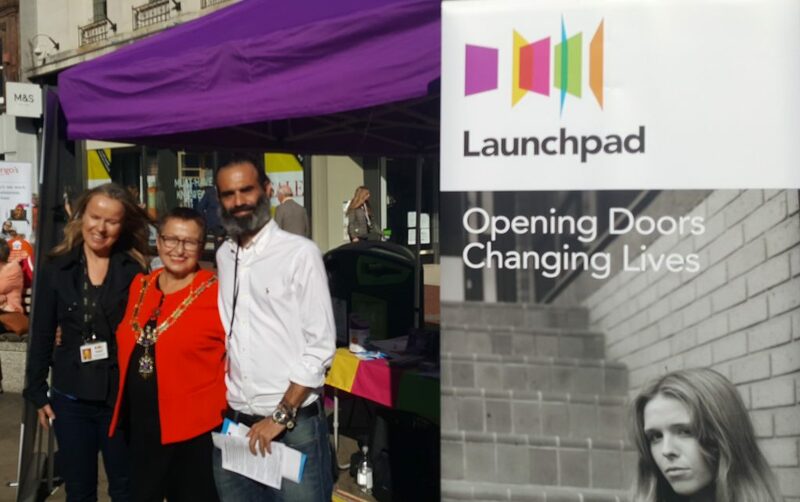 The aim is to alert the public to the dangers of giving money to street beggars and recommending support of local charities instead. 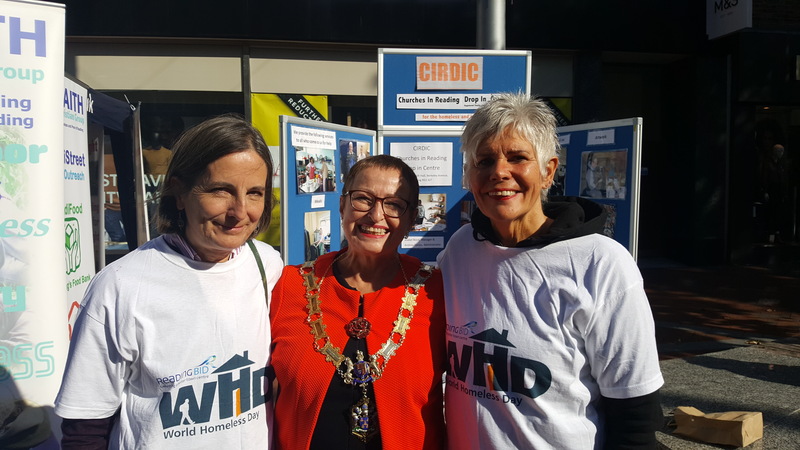 Photographed above are Councillor Debs Edwards, with Malcolm Peirce (Director FCG) and Amanda Bayley (General Manager FCG) who co-ordinated the event.